In a collaborative effort between the Centre for Escalation of Peace (CEP); Vasant Valley School; and the School of Leadership, Afghanistan (SOLA), an exciting two-week immersion program for eleven Afghan girls from SOLA took place in New Delhi in January 2016, where the CEP and Vasant Valley School were the hosts. This two-week intensive educational program primarily took place in New Delhi from 18 January to 1 February 2016 and consisted of a broad array of learning opportunities. 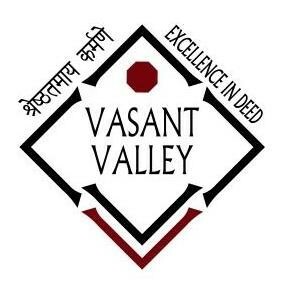 These included attending regular classes with same aged students, participating in study skills workshops and community service programs, visiting Lady Shri Ram College for Women, participating in debating workshops and attending special speaker sessions in Vasant Valley School. Additionally, visits to places of interest in other parts of the National Capital Region, such as Gurgaon & Noida, were scheduled as was a day-long excursion to Agra to see the Taj Mahal and other sites. Throughout the two weeks, each student from SOLA stayed with the family of a girl from Vasant Valley School. The program aims to facilitate a discussion on the challenges and opportunities young women face in trying to acquire education throughout the world, and to facilitate a cross-cultural experience in which students from both countries can learn from each other and create a support network that might eventually grow.